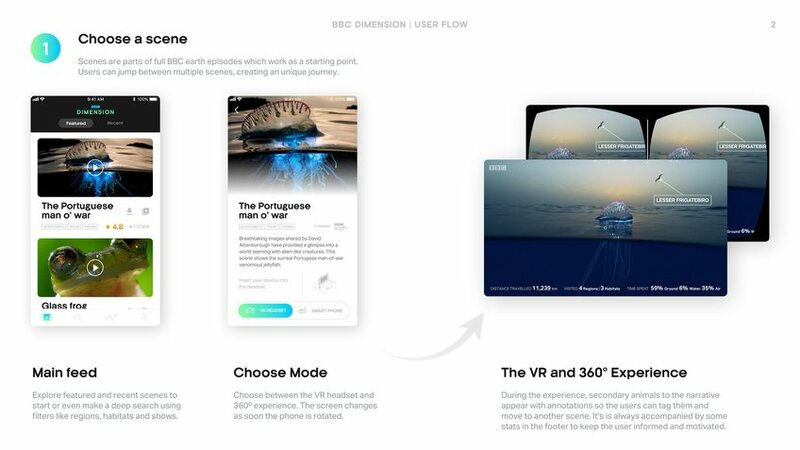 In a world where the tech landscape is rapidly evolving, over the next few years virtual reality will begin to reach a plateau of productivity. 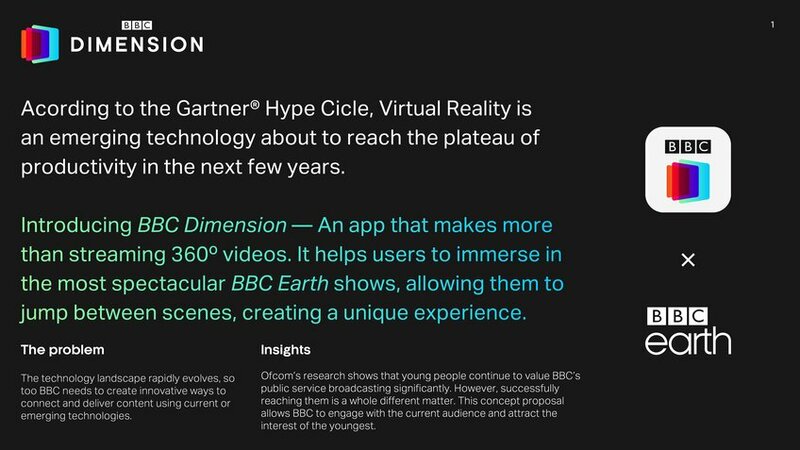 But how can the BBC take advantage of it? 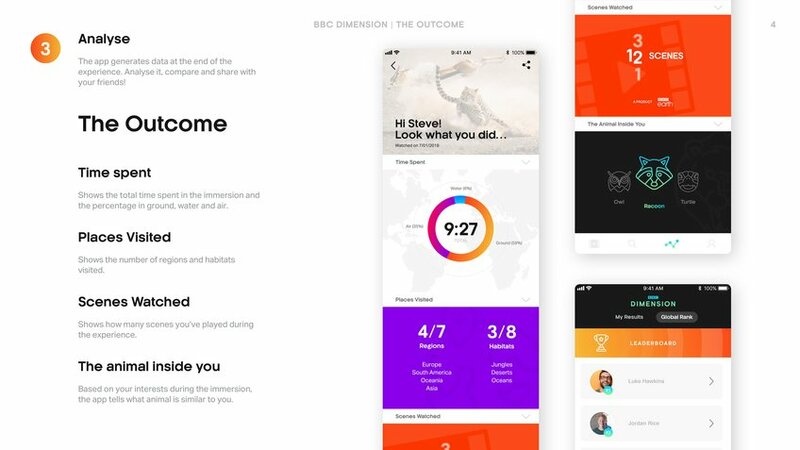 Introducing BBC Dimension - An app that makes more of streaming 360º videos. 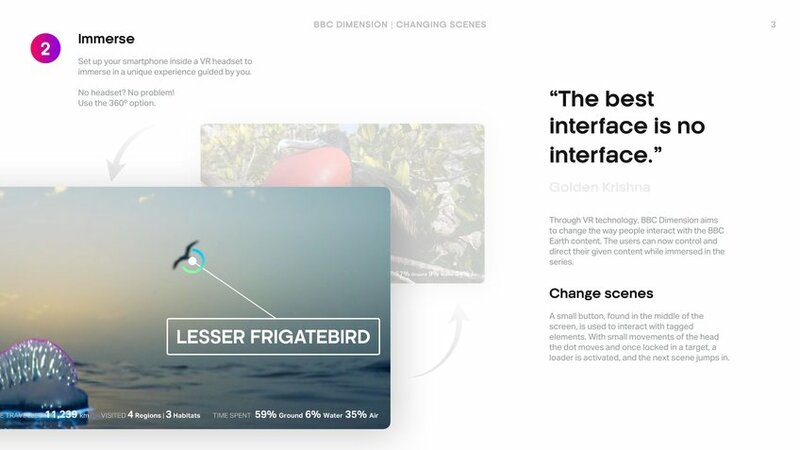 BBC Dimension helps users to immerse themselves in the most spectacular BBC Earth shows, allowing them to jump between scenes, creating a unique experience. 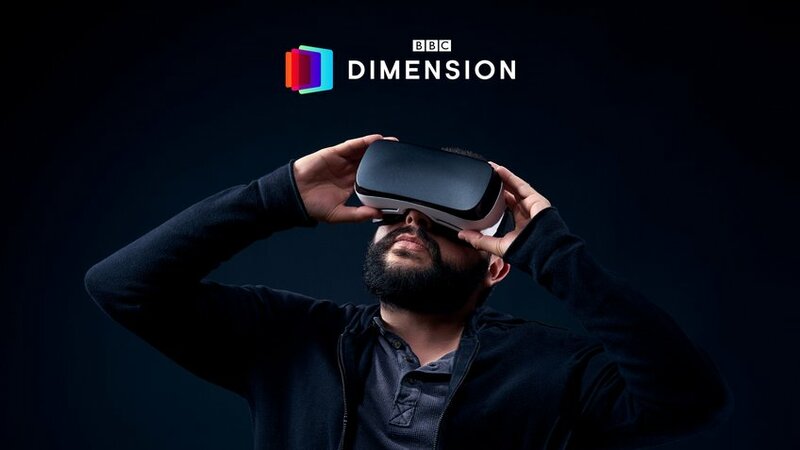 In a market full of VR applications, BBC Dimension aims to introduce a fresh touch of personalisation by adapting purely visual content to an interactive application.